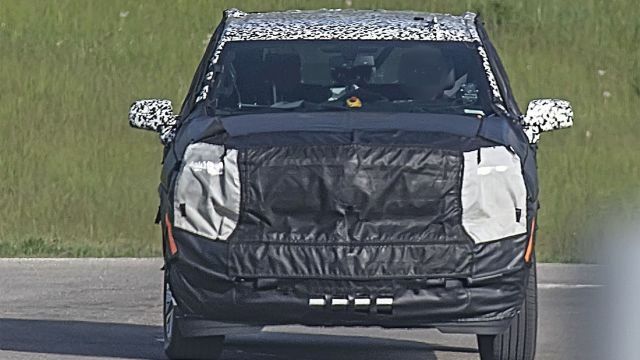 The Chevy manufacturer is currently testing the 12th generation of its popular SUV and it is the all-new 2020 Chevy Suburban. The new Chevy will ride on the GM new platform and will come with reduced weight. As well, it will be completely overhauled inside and outside and it will get more tech features. The independent rear suspension and the new autonomous driving technology should also be available. As well, there will be some new engine options and a new 10-speed automatic transmission. The brand-new 2020 Chevy Suburban will hit the market with the familiar engine already found in the current model. However, it will also get some new engine options. So, the new Suburban will most likely get three options to choose from. And to start with the new and most likely the base option which is going to be a 2.7-liter inline-4 unit. This engine will be able to deliver 310 horsepower and the torque of 348 pound-feet. This engine will work with an 8-speed automatic transmission and will come with a choice between the rear-wheel and all-wheel drive configurations. The next is the well-known 5.3-liter V-8 powertrain. This unit is able to make 355 horses and 383 pound-feet of torque. The engine will be mated to a 6-speed automatic and will be available with all-wheel and rear-wheel drive layouts. Connected to rear wheels, this engine is rated at 16 mpg in the city and 23 mpg on the highway. The all-wheel drive model will get 15 mpg in the city and 22 mpg on the highway. However, some sources claim that this engine will also be offered with an 8-speed automatic gearbox. Furthermore, there will also be a new 6.2-liter V-8 engine which will be capable of making 420 horses and 460 lb-ft of torque. This one will be linked to a 10-speed automatic transmission and will also be offered with FWD and AWD configurations. As well, some markets will also be offered with a 3.0-liter inline-6 turbo diesel engine. This one will have the output of 280 hp and 440 lb-ft of torque. It will be paired with a 10-speed automatic gearbox. First of all, the upcoming 2020 Chevy Suburban will ride on the new GM T1 architecture and it will now come with reduced weight. Precisely it is going to be lighter from the previous generation model for around 300 pounds because of the new architecture and high-strength aluminum body design. 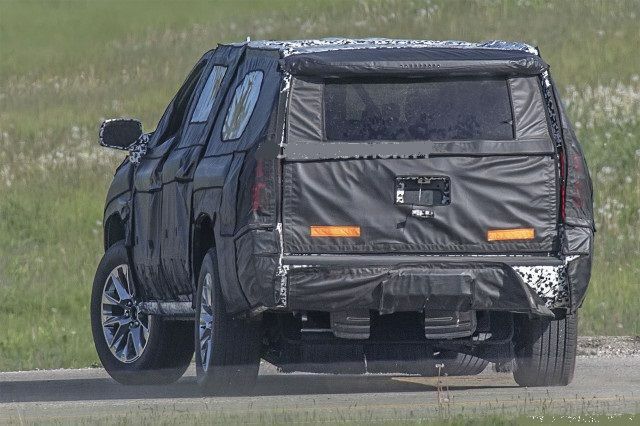 As for the exterior design, the new 2020 Chevrolet Suburban has been spotted during its testing and wearing lots of camouflage, especially on the front end and headlamps. As the matter of fact, the headlamps seem very similar to the ones found on the Chevy Silverado. The taillights will also be new this time so as the angular C-pillar. Furthermore, the new Chevy Suburban will get an independent rear suspension which will majorly improve comfort inside the cabin. Perhaps we might also see some new exterior colors as well. As for the interior, the 2020 Chevy Suburban will come with three rows of seats as before and will be able to welcome up to nine passengers. The front seats are highly comfortable so as the second row, and the third row will be easy to access. The second row will be power-folding which will provide more legroom for the third-row occupants. The cloth upholstery will be standard while the leather seats will be available in the higher trims. Furthermore, behind the third row, the Suburban offers the cargo room of almost 40 cubic feet. However, with the third row folded flat, the Suburban offers the room of 77 cubic feet. Moreover, with the second and the third row folded flat, there is the maximum cargo space of 122 cubes. As well, because of the new platform and an independent rear suspension, the new Chevy will be even more comfortable than before and the third row of seats will be more usable and cozier too. 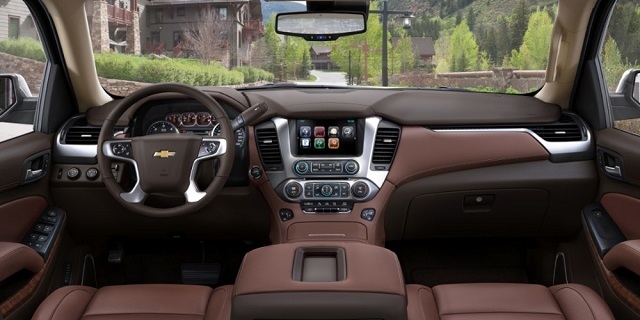 The standard equipment of the base 2020 Chevy Suburban will include three-zone climate control, cloth seats, power adjustable front seats, an 8.0-inch touchscreen for the infotainment system, Apple CarPlay and Android Auto connectivity, rear parking sensors, Bluetooth etc. The mid-range trim will add leather seats, Bose audio system, lane-departure warning, forward-collision warning, tilt-and-telescoping steering wheels, and so on. The Premier models will get rear-cross traffic alert, blind-spot monitors, upgrades audio system, heated and cooled seats, 20-inch wheels, a power liftgate, and other features. As well, the new Chevy could also get the GM Super Cruise autonomous driving technology on the higher trims. The new 2020 Chevy Suburban should be available in the fall of 2019. The price is not yet known. But it could get slightly higher than the current model which starts at around $51,500.